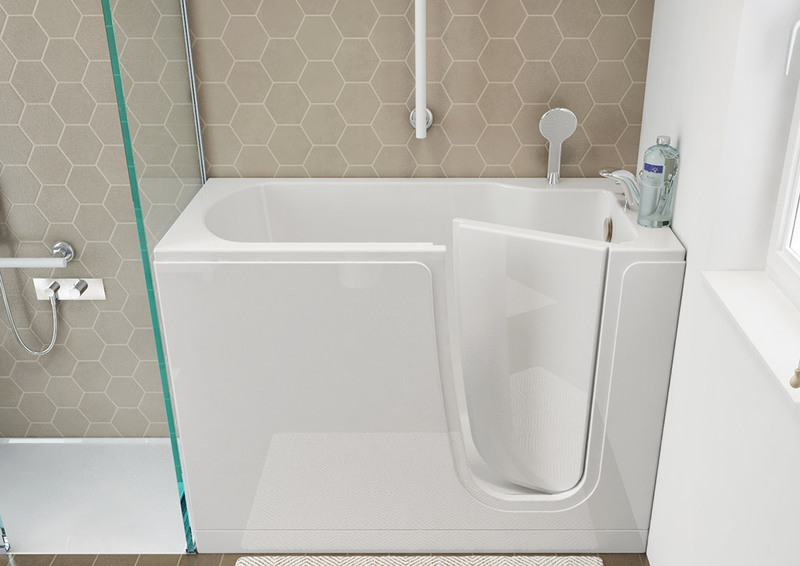 Goman® offers a complete range of bathtubs for elderly people taking advanced of the new series bath-tub with door and seat "Oasis". Everybody will find the perfect place to relax and feel a comfortable well-being in complete safety. 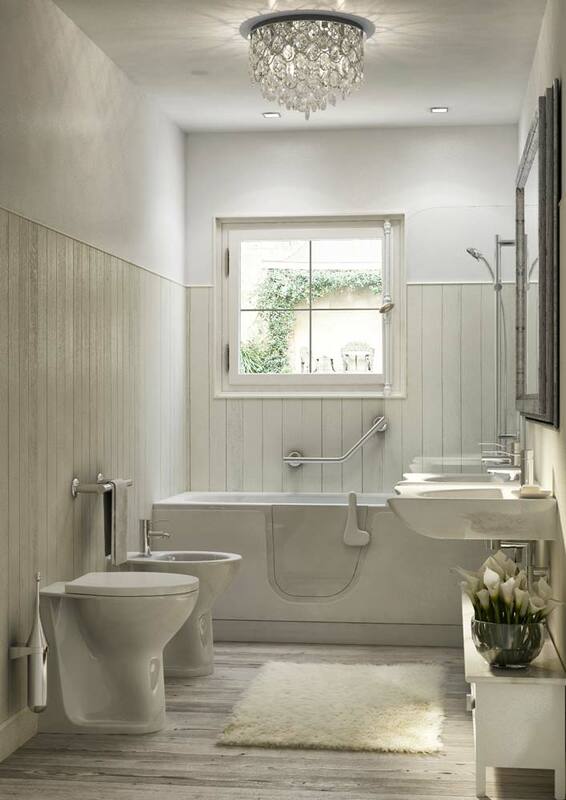 When movement difficulties do not allow people to use the bathroom independently, Goman® offers multiple solutions, always with a sophisticated design. 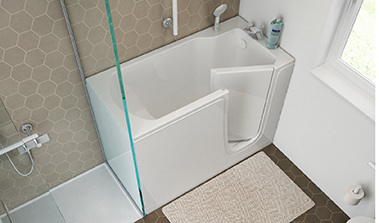 Bath-tubs with door Oasis, are not only elegant, but above all ergonomic, as designed to be used by people with mobility difficulties. 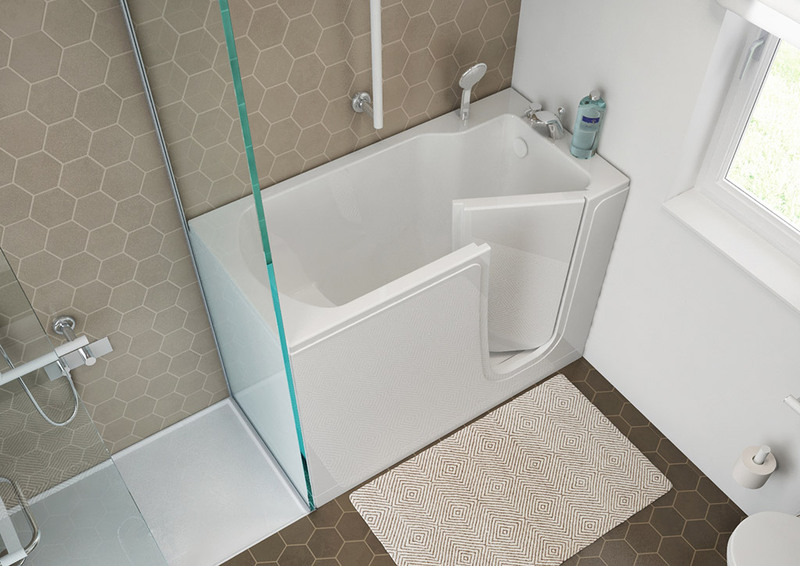 In fact, the entrance step is very low, base and seat are wide and sliding-proof, and the inside opening door guarantees a perfect tightness over time. 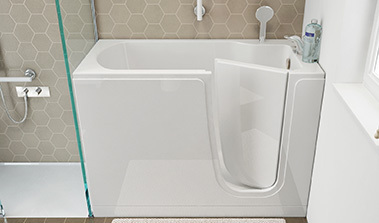 The tubs Oasis with door are based on fiberglass gel-coated, with a self-supporting frame in stainless steel AISI 304, adjustable legs and frontal and side panels easily removable for maintenance and inspection. 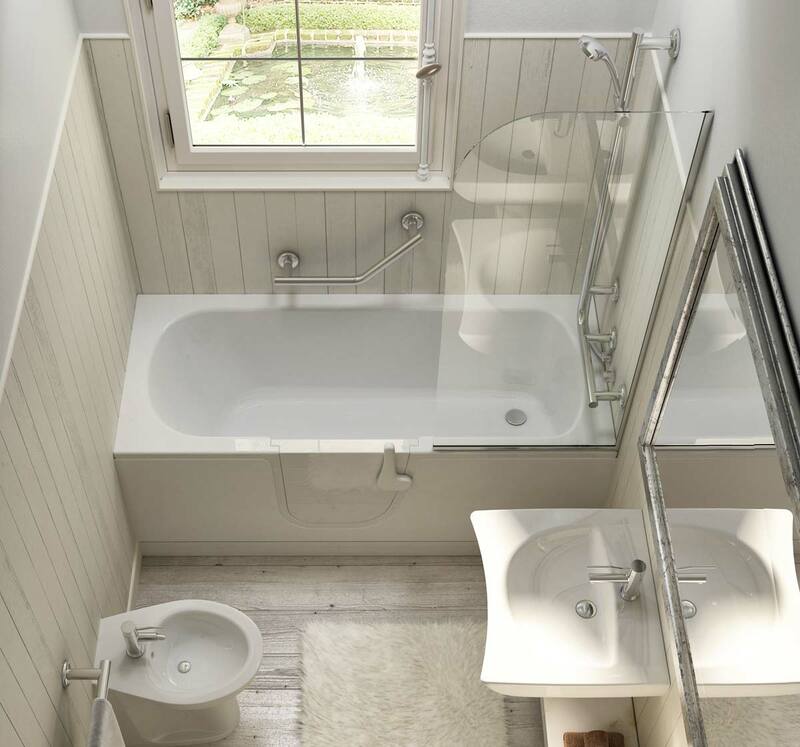 Every bath-tub is supplied complete of both front and side panels, bath-tub waste with overflow, taps and shower attachment. A simple installation can be done in connecting the hydraulic system; no need to have specific skills or additional elements. 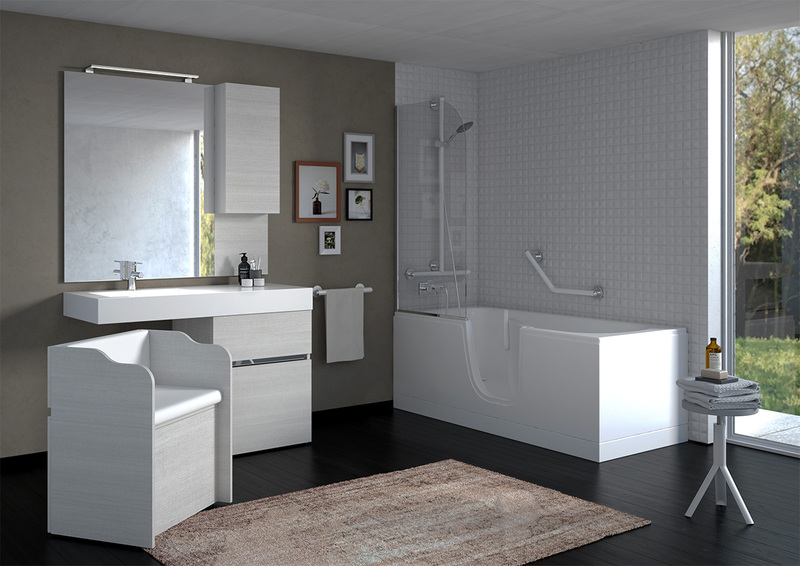 Goman® catalog has also the largest selection of supporting bars, shower seats, safety accessories, furnishing aid, sanitary and many more articles which serve to complement and ensure a comfortable and safe bathing.